Edinburgh’s five star attraction, Dynamic Earth, is open late for exciting themed evenings through the rest of the summer. In addition to the already popular Dome Nights, featuring Pink Floyd music and thrilling visuals, the team has now added Summer Family Nights to its evening offering. 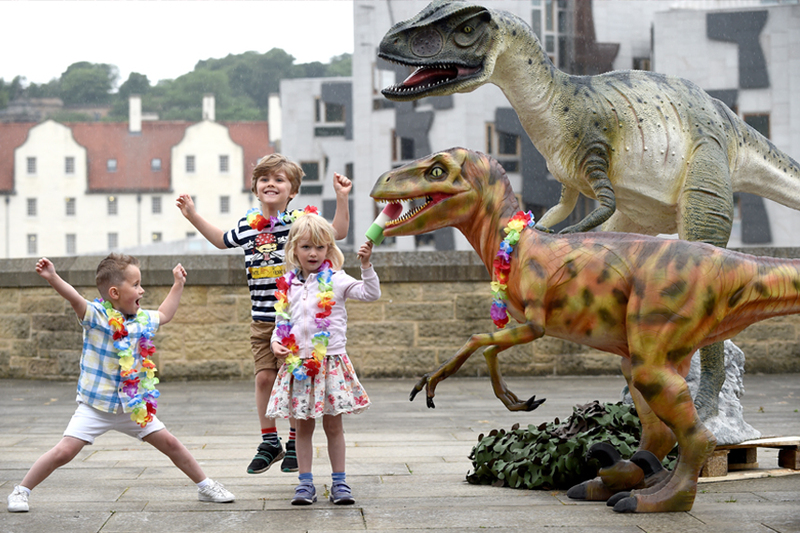 On Wednesday 1 August and Thursday 2 August from 6 pm – 8pm, families can enjoy fun tasters of the Dynamic Earth daytime experience. After a short tour including the coolest place in Edinburgh – Polar Extremes – and two dome films in the spectacular 360 ShowDome with free popcorn, visitors can try their hand at the newest exhibit: Design-o-saur, where they snap a selfie with their own CGI dinosaur. Other fun includes the Operation Earth hands-on activities, face-painting and a bar for the adults. The Dome Nights, part of Edinburgh’s Fringe Festival, run from 3-27 August and feature a fully immersive musical experience set to Pink Floyd’s Dark Side of the Moon, The Wall and new for 2018: Wish you Were Here. Projected in Scotland’s only 360° cinema with explosive 10.2 surround sound, the spell binding abstract projections and mesmerising visualisations create an unforgettable experience. With four shows each evening and a bar open throughout, these are unforgettable summer nights. For a preview of the experience, try Dynamic Earth’s Fringe Preview Evenings which feature a 15 minute taster of each film, plus bar and the fabulous Design-o-saur. Snap up these tickets – they won’t last long! For more information on events and activities happening at Dynamic Earth, visit the website.